Make your home feel a lot more modern and furnished by introducing this beautiful Salerno 2-Tone 4 Drawer Chest. This chest contains a beautiful design that's very homely and contemporary, as well as looking very warming. 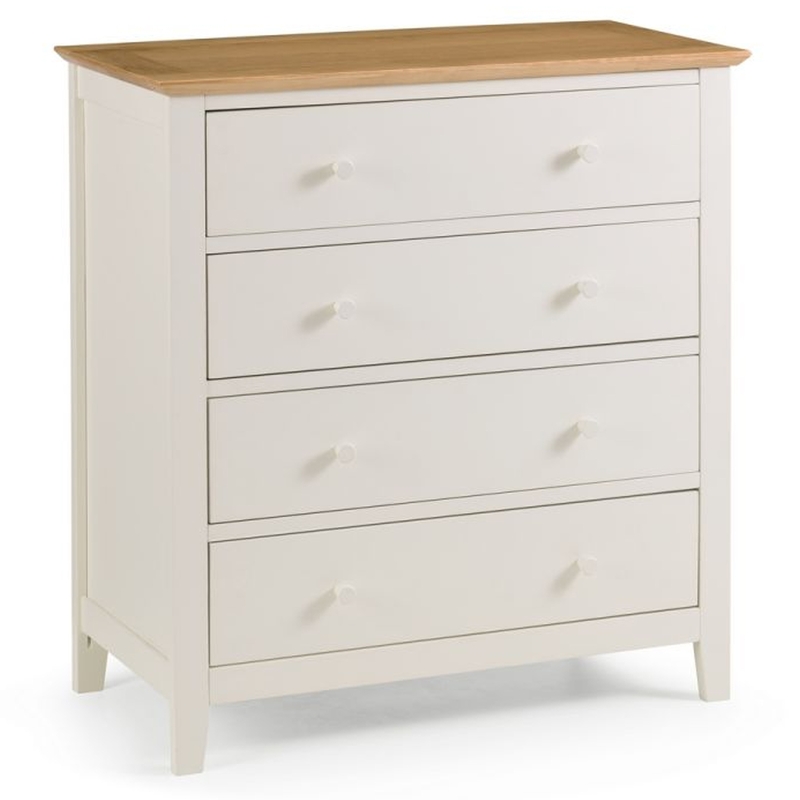 The creamy white colour is complemented by a wooden top, combining into a very charming piece.